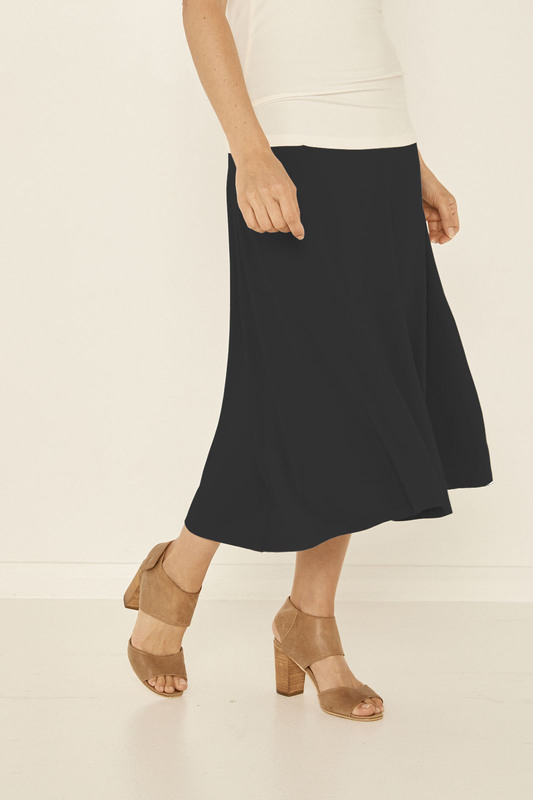 A longer version of the very popular Swishy Skirt for women that love a flattering skirt that falls below the knee/mid calf. This full skirt comes with a wide waist band that can be folded down to sit lower on the waist/hips, or up to give the supprt and comfort of covering the stomach. 2 STYLES IN ONE : This skirt can be worn as a Babydoll Stapless Dress with a empire style A-line shape. Featured model/s both wear a Size S are 175cm tall are normally wear size 8/10 clothing. Our Fabric is made from a unique heavy-weight bamboo blend of 92% Bamboo and 8% Elastane. The elastane is added to give the Bamboo fabric some stretch, and allows the fabric to go back into shape even after washing. The fabric is very soft and feels thick and luxurious against the skin and drapes beautifully. 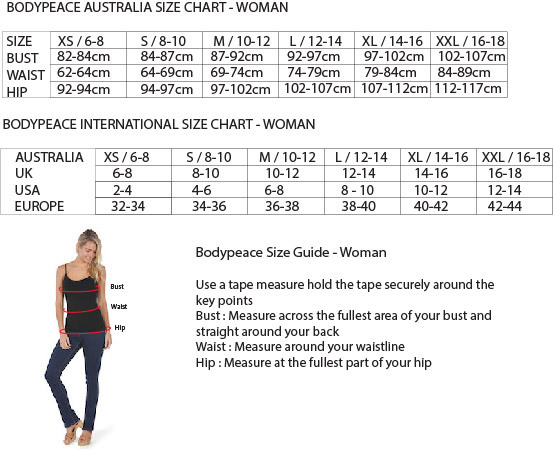 as compared to a light cotton t-shirt that has a UPF rating of about 5. Our bamboo fabric is certified by ARPANSA confirming the UPF rating of 50+. Bamboo is moisture wicking meaning it pulls moisture away from the body to the exterior of the shirt where it can evaporate more easily. and hence could make your clothing be less smelly in situations where you sweat. Bamboo is often called a ‘smart’ fabric as it has great Insulating properties which means it will keep you cool in Summer and warmer in Winter. ​So wearing bamboo shirt in Summer will feel cool and comfortable.